image: 12 x 16" | frame: 17 x 21"
Richard Abraham "Chimney Rock Road"
image: 11 x 14" | frame: 19.5 x 22.5"
image: 11 x 14" | frame: 16 x 19"
Richard was born and raised in the beauty of Michigan’s Upper Peninsula. 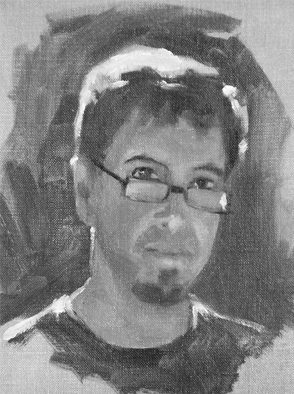 In 1998 he made the decision to leave a 14 year career as a designer and animator, moving to Minneapolis to train in traditional oil painting techniques. 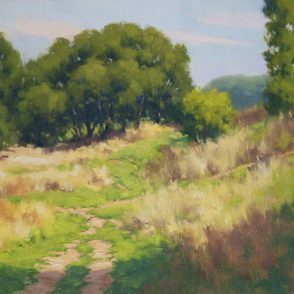 He immersed himself in study, drawing and painting from the figure five days a week while attending The Altelier, and the Bougie Studio. 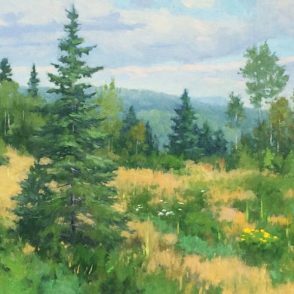 While studying at H&P Studios he painted landscapes on location or “plein air” for the first time and he hasn’t looked back since. 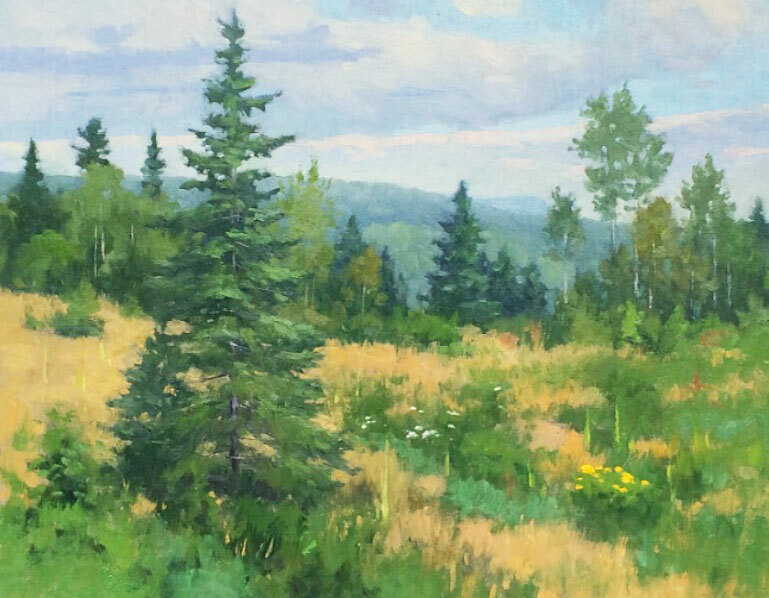 Seeking a connection and empathy to the places that he depicts, he scouts rural hide-a-ways to paint in Northern Minnesota, Wisconsin and Upper Michigan. 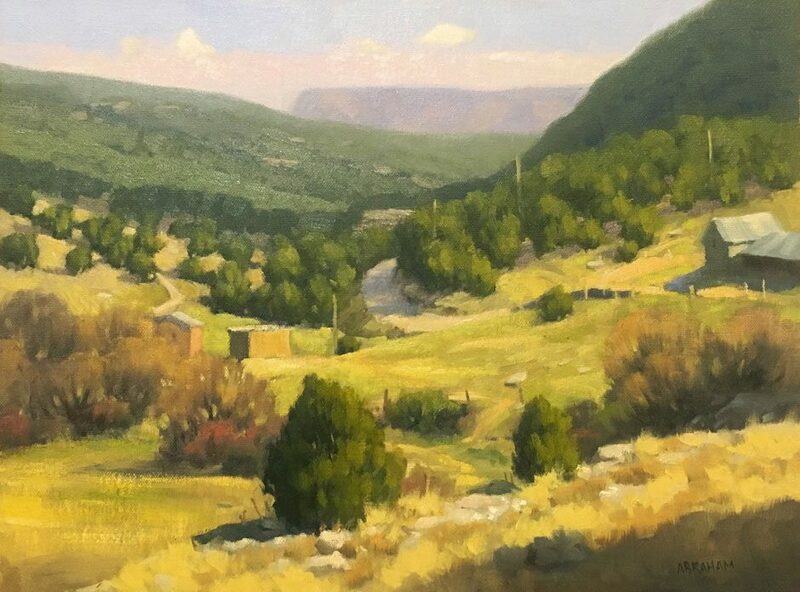 The last 12 years he’s competed in plein air festivals all over the country, winning numerous awards. 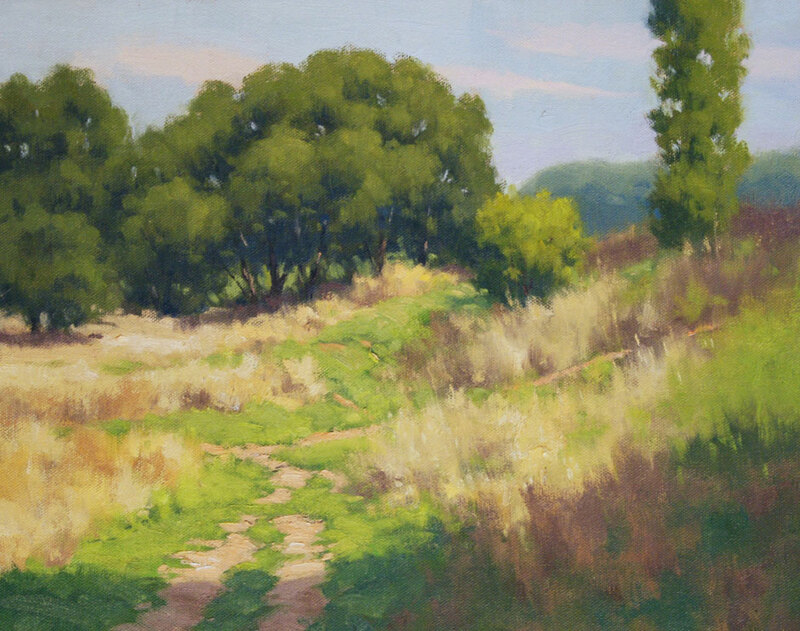 Richard lives in St. Paul Minnesota with his dog Maxwell, teaches painting, and is represented in the Twin Cities by Groveland Gallery in Minneapolis. A few years ago I was painting on the Lake Superior shore north of Grand Marais, it was a bitterly cold morning in March. My hands were numbing, the wind was cutting right through all my layers, it was awful, and yet I was aware of how happy I was to be right there doing what I do. The reward for being an artist is the time spent painting. Not awards or exhibits, but the act of making art. The entire world disappears except for your effort to express something honestly on a canvas about the way you see the world, that’s why I paint.